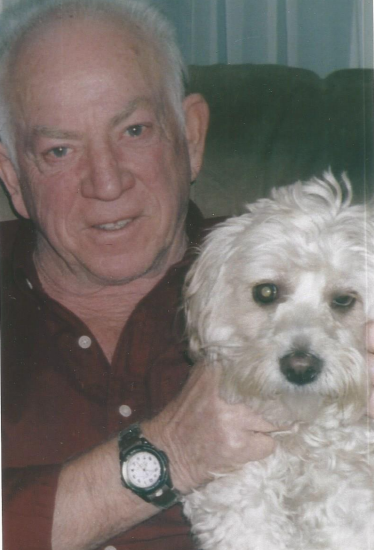 It is with sad hearts that we, the family of Max Ross, formerly of Dalhousie N.B. announce his passing on Wednesday October 3rd 2018. After a 12+battle with Alzheimer’s. Max was the youngest Son of Raymond Ross Sr. and Olive(Curtis) Ross (both deceased). He was the much loved husband of Sylvia (Terry) Ross for over 57 years. He was DAD to 3 children, Sherry (Ross) Robertson, (Dale) Jack Ross, (Shelly) and Lisa (Ross) Kuscu.(Peter). He was a very proud Papa of 7 Grandchildren, who he loved very much. Kyle, (Danielle), Bradley,(Lori) Spencer, Shaylea, Isabella, Jennah, and Saryna. Max was also a great grandfather of Courtney, and our 2nd Great granddaughter to arrive in early 2019. He was a much loved brother of 8 siblings, Marion Grenier, (deceased), Ruth Legace, Shirley Stimson, Raymond Ross Jr, (Deceased), John Ross, Joan Ross, Judith Parent, Nadine Rhodes. Max was a carpenter by trade for over forty years, and loved his work. He was also involved in his home town community with the local Dalhousie Rangers Hockey Team, for many years. His greatest passion however was for the outdoors, where he spent a great deal of time hunting and fishing at his camp in New Brunswick. In honouring Max wishes, there will be no service or visitation at this time in Hamilton Ont. We, his family will honour his wishes of being laid to rest in his beautiful New Brunswick. This will take place in the summer of 2019, time and date to be announced. At this time, we would like to say a big Thank You to St. Peter’s @ Chedoke Nursing home in Hamilton Ont. But our biggest “Thank You” goes to the amazing staff of Fir Terrace. Although I sometimes gave you a hard time. I always knew there was no place else I would have wanted him to be. It was a long battle Max, but you are now at peace. Til we meet again…God has you in his keeping.. We have you in our hearts..
Our sincere condolences to Sylvia and children, although I have lost my young brother my sympathies lie with his loving wife, children and grand children. RIP Max we will meet again. Sylvia, I’m so sorry to hear about Max. Prayers for you and your family. May he Rest In Peace.